Second son of the hereditary governorship of the planet, Garron’s Reach, Navarre was given to paladin orders of The Six Peers immediately upon his birth so that he may never lay claim to his elder brother’s birthright. Placed with the Order of the Shattered Sword, life as a paladin is all he has ever known. It was his privilege to train the young Relic Knight, Sebastian Cross, even as it is an honor to fight by his side today. Navarre exemplifies the title of paladin and his rugged, pragmatic approach to battle has carried his order to victory against every type of threat imaginable. As the Dark Space Calamity grows and a terrified populace looks increasingly to the paladin orders for protection, Navarre’s steadfast guidance will help guide them to the path of safety. Sculpted by Reed Casey. 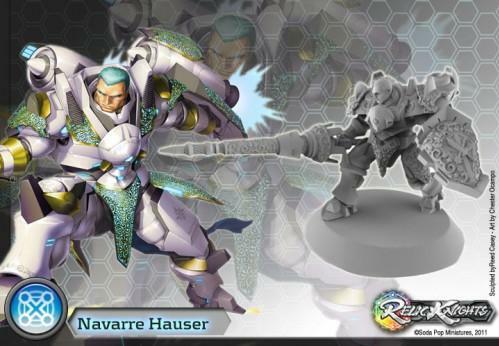 This blister includes a complete model for the Order of the Shattered Sword, unique character, Navarre. Navarre is a 32mm 'heroic' scale, high quality, metal cast miniature. A 40mm premium round base is included. 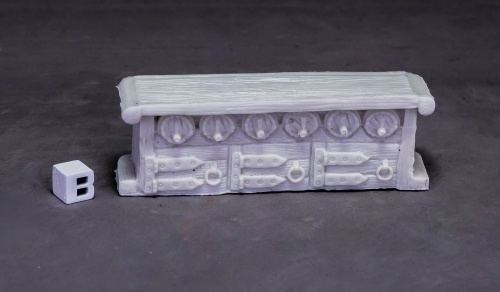 Model is supplied unpainted. Assembly required.